The latest trend is the design of the model Haiti. A bird home with arched roof, three outer lining doors with stainless steel bowls, perch, collecting apron, removable grid and stable roll feet. 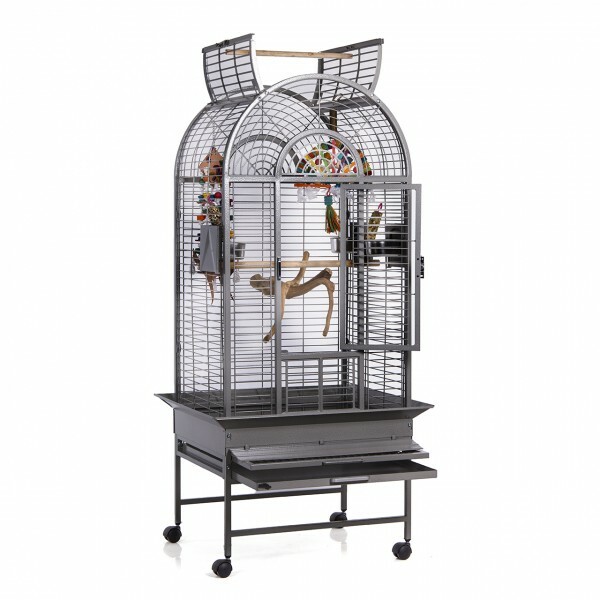 links "Birdcage Haiti - Antik"
customer reviews on "Birdcage Haiti - Antik"